Land Rover made the new Discovery less boxy and more aerodynamic to reduce noise and improve fuel economy. Land Rover is determined to demonstrate that even though the fifth generation of the Discovery has been made softer and more luxurious than its predecessor, it remains true to the SUV brand's go-anywhere philosophy and has been engineered to take the path of most resistance, should the driver choose. 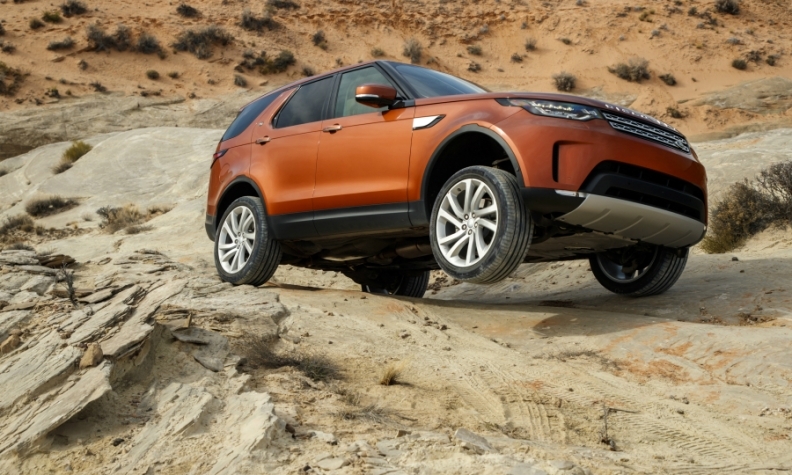 The fifth-generation Discovery tackled tricky sand dunes, crawled over jagged rocks, (with only three tires touching the ground) traversed deeply rutted dirt roads and breezed up steep inclines during a two-day test drive covering parts of Utah and Arizona in the U.S. west. With more than 1.2-million units sold globally over the last 27 years, the Discovery is a fixture in an SUV market that is rapidly filling with new entries. Land Rover parent Jaguar Land Rover knows the intensified competition means sales could be harder to come by. That is why the new Discovery, which finished 2016 ranked 10th in Europe's premium large SUV/crossover segment, was furnished with several innovative features, such as a fully automatic seating configuration system that uses 23,000 lines of code to operate, an automatic opening tailgate and an intricate terrain management system. The new Discovery is available in five- and seven-seat configurations. The SUV is offered with a choice of two diesels and a supercharged gasoline engine. All engines are mated to a ZF eight-speed automatic transmission. The SUV also has up to four 12-volt charging points and as many as nine USB ports. Group synergies: The aluminum intensive D7 platform underpins the Jaguar XE and F-Pace and the upcoming Range Rover Velar. Versatile seats: Perhaps the most complex system on the car is the electronic rear seats, which can be controlled in three way: from the touchscreen, from a phone and from buttons in the cargo compartment. They move in unison, and the second and third rows fold flat into the floor. Engines: The Discovery is offered with a 2.0-liter four-cylinder Ingenium diesel with outputs of 177 hp or 237 hp; a 3.0-liter, 254-hp V-6 diesel; and a 3.0-liter, 335-hp supercharged V-6 gasoline engine. What's good: The Terrain Response system is extremely impressive, blending some elements of automated driving. Land Rover says the Discovery’s electronically deployable rear tow-bar is the first of its kind.